Make the Nursery Your Happy Place with Babies”R”Us! We’re firm believers that the nursery should be a happy place for both baby and parents. It’s the perfect place for bonding with your new bundle of joy, and we want to make sure it’s a place of relaxation and contentment, too. We’re so excited to be partnering with Babies”R”Us to help spread this message! Babies”R”Us is hosting a nationwide, in-store Happy Places event on June 27th at 10am to help parents plan the nursery of their dreams and create the ultimate Happy Place for their new baby! Project Nursery co-founders Melisa Fluhr and Pam Ginocchio provided their top-notch design expertise for Babies”R”Us to share with all of you at the event. 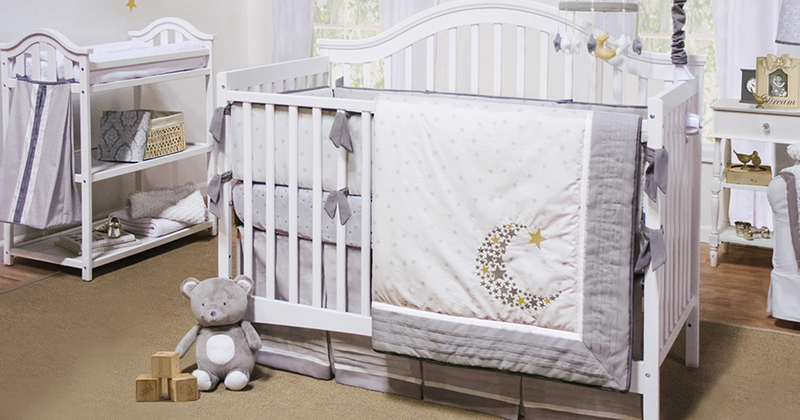 The event will give you the opportunity to browse all the nursery bedding, furniture and decor at Babies”R”Us and provide you with tips to make your nursery plans a reality. You’ll spend a lot of time in your nursery cuddling, feeding and playing with your baby, and we think it should be a calming oasis, even during that third feeding of the night. Let us help you create a special space just right for you and baby. Before the event, we’ll also be co-hosting a Twitter party with Babies”R”Us, where we’ll share tips about how to make your nursery a happy place for you and baby. Special guest Disney Baby will be joining us as well to help you add a dash of Disney magic to baby’s nursery. We love talking design—and babies!—and we’re looking forward to chatting with all of you. The Twitter party will be Thursday, June 18, 2015 at 11AM PDT/2PM EDT. Join in on the fun with the hashtag #HappyPlaces. And trust us, you won’t want to miss it because Babies”R”Us is going to be giving away Disney Baby bedding and other great prizes! Speaking of prizes, we’re saving the best for last. Babies”R”Us is hosting an online Happy Places Sweepstakes in conjunction with the event, and the Grand Prize is a one-on-one design consultation from Project Nursery and a $500 gift card to Babies”R”Us! You’ll also be entered for the chance to win a one-year supply of baby food from Gerber or a one-year supply of diapers and wipes from Huggies! We really hope you’ll join us for these events. Even if you don’t know the first thing about complementary colors, we’ll show you how you can make the nursery a Happy Place for very special moments with your baby. Can’t wait. Love BRU & Disney!! !